When it comes to winter weather in Dallas, TX, let’s just say it is unpredictable. One day it’s 70 degrees, then a few days later it may snow. If you are planning to run the BMW Dallas Marathon or any of the weekend events you may need to have a few outfits planned, because training is not all about how many miles you run, it’s about preparing for all the variables of race day. We can’t control the weather, but we can be ready for it. This post is sponsored by the 2018 BMW Dallas Marathon. All opinions are my own. We are a participant in the Amazon Services LLC Associates Program, an affiliate advertising program designed to provide a means for us to earn fees by linking to Amazon.com. I personally own or have used each of the products I mention and can recommend them based on my positive experience. Dallas temperature for early December averages a low of 35 and a high of 62. I’ve put together this guide to help you make an educated decision on what to wear for the BMW Dallas Marathon. Look for moisture-wicking fabrics that pull moisture away from the skin to keep you dry while running to help avoid chafing. Moisture-wicking properties are inherent in synthetic materials like polyester and nylon, and a natural fabric, Merino wool. Avoid cotton fabrics while running long distances because cotton absorbs water and can cause embarrassing sweat spots and chafing. Cotton absorbs moisture and when you sweat it can cause cold feet and blisters. Look for socks made of polyester blends or wool to keep your feet cool and dry for 26.2 miles or more! 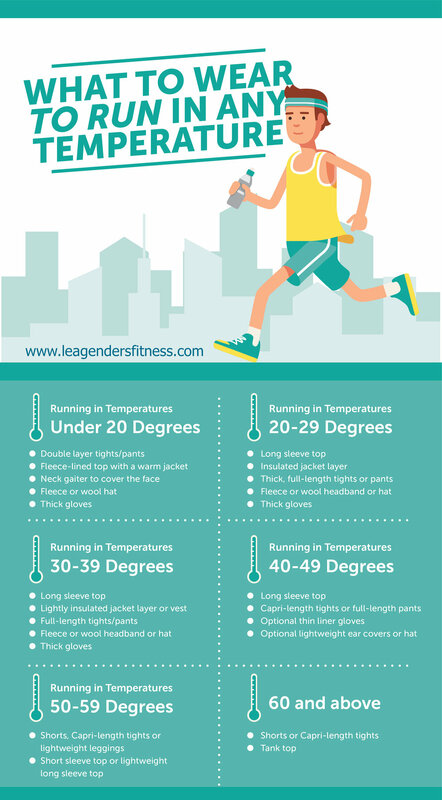 What to wear to run in any temperature. Save to your favorite Pinterest board for later! Many runners overdress in cold weather. The rule of thumb is to dress as if it is 15-20 degrees warmer than the actual temperature because once you get moving, your core body temperature will warm up considerably. There are individual variances in core temperatures so you may need to adjust based on how your body feels while running. The first rule of racing is to never try anything new on race day. Practice your race day outfit in your training runs leading up to the race. Dress in layers for a long distance race like the BMW Dallas Marathon because the temperature at the beginning of the race could change quite a bit by the end of the race. Are you running the 5K, 10K, half, full, or ultra marathon? Need to register? Time is running out. 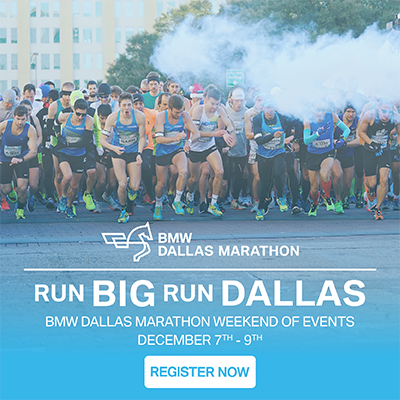 Register for the BMW Dallas Marathon weekend of events. Will I see you there?